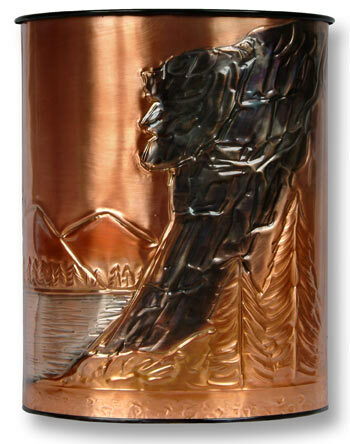 Hentzi copper waste baskets are as near perfection as any waste basket can get! 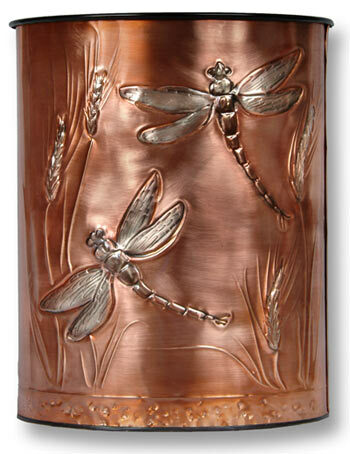 Shop from our stunning collection of Hentzi waste baskets featuring hand embossed copper designs including dragonflies, chickadee birds, golf clubs, trout, pines, and more. 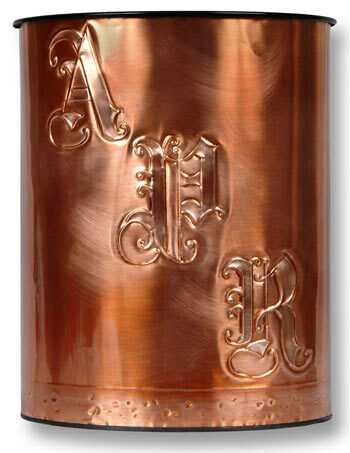 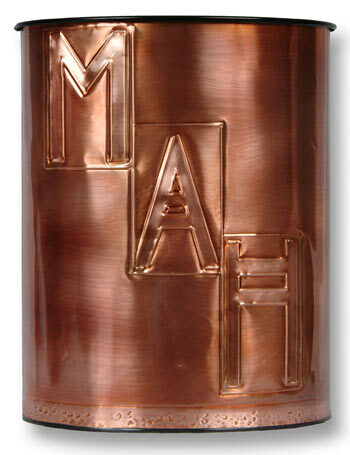 The MailboxWorks also sells a custom monogrammed copper waste basket featuring three initials or one giant letter. 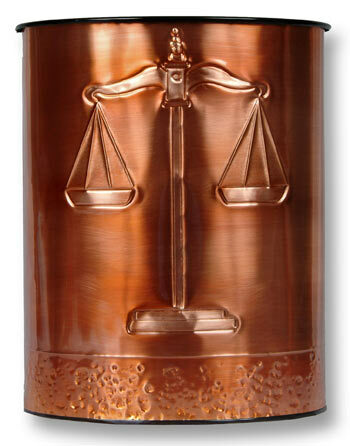 The small copper waste baskets measure 13” in height and weigh approximately 10 pounds. 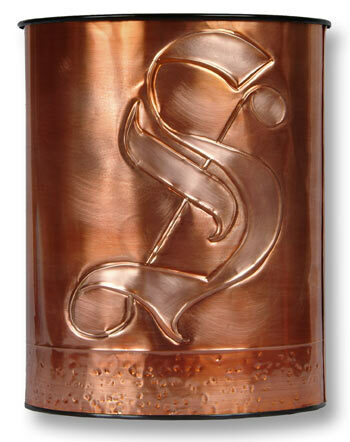 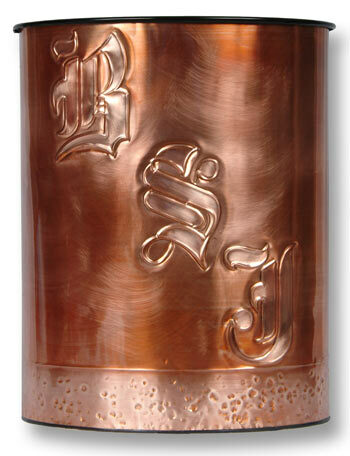 Production technique involves first painting the metal waste basket black and then wrapping it in copper featuring the hand embossed copper design. 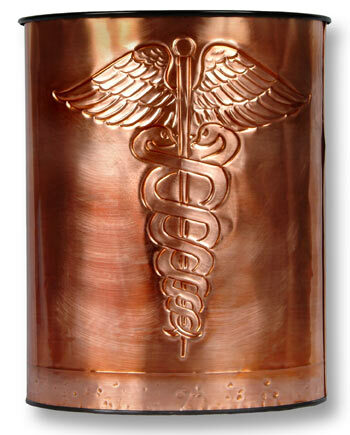 There are no two alike! 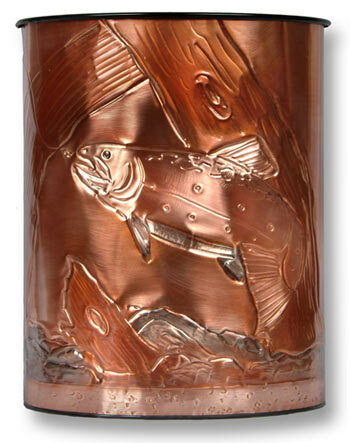 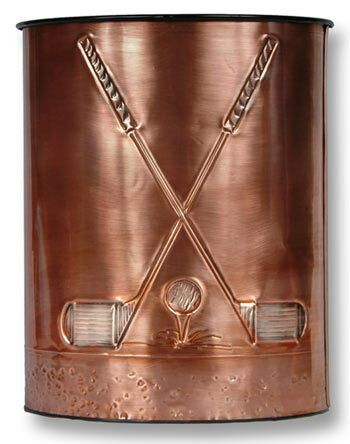 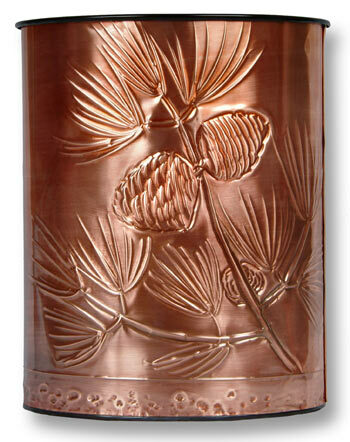 You can even compliment your copper waste baskets with decorative copper wall art by Hentzi. 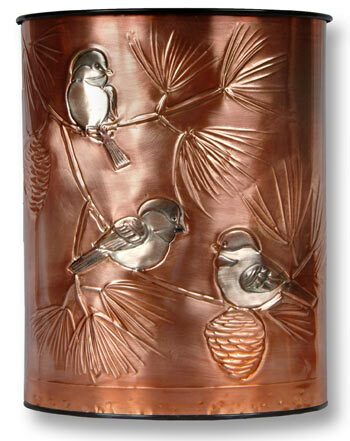 Browse our collection of decorate waste baskets below and be sure to check out the rest of our copper garden accessories in our home and garden collection. 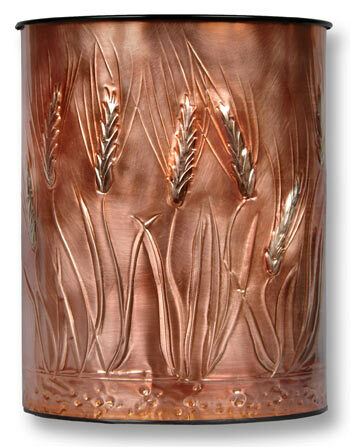 If you have any questions please call our service department at 1-866-717-4943.